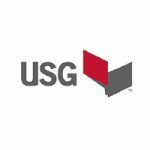 USG Structural Panels are high-strength, reinforced concrete panels for use in noncombustible construction and the only panels certified by Underwriters Laboratories Inc (UL) in accordance with ASTM E136. Re-engineer your thinking, with a lightweight, noncombustible pre-manufactured panel. USG Structural Panels make installation easy, safe and productive, giving you the performance you have come to expect from USG. Product application includes roof deck, subflooring and foundation wall.